Donagh Herlihy, Senior Vice President and Chief Information Officer, leads Avon’s information technology strategy and operations globally. He directs a team of over 1500 professionals responsible for providing all aspects of the technology infrastructure supporting Avon’s internal business operations and for connecting and enabling the business for more than 5.4 million Avon Representatives worldwide. Herlihy joined Avon in March 2008 from the Wrigley Company, where he was CIO. 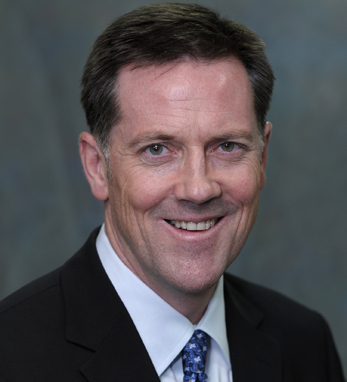 In addition to leading IT, Mr. Herlihy also served successively as Vice President of Human Resources and Vice President of Supply Chain Strategy and Planning. Prior to Wrigley, Herlihy spent six years at Gillette, ultimately leading Information Technology at its Duracell subsidiary. Earlier in his career, Herlihy was based in the UK, where he worked in manufacturing, business process reengineering and information technology in both the consumer goods and automotive sectors. Herlihy has both a BSC and an MA in Industrial Engineering from Trinity College in Dublin, and he has completed the Executive Program at the University of Michigan, Ross School of Business.